for your video conferencing with easy to use plug and play connected devices. With Lifesize’s great endpoints, USB camera and cloud services, you will have a clean end-to-end video conferencing experience. An intuitive, consistent interface, user directory and ease of use means less training and more rapid adoption. High-quality video and content sharing brings meetings to life. Lifesize SIP integration capabilities delivers truly unified communications. Price to performance – Lifesize is the best in market. Lifesize Cloud makes it easy to join any meeting from anywhere. With Lifesize Cloud, you get search-based directory for instant calls, calls via your desktop or browser, easy screen sharing, live chat one-on-one, Google and Outlook integration and Lifesize Cloud Amplify. Quick to access, easy to use. Get up and running right away via your Google Chrome browser with the Lifesize Cloud Web App. And because Lifesizes UI is intuitive, you wont need an IT degree to use it. Lifesize Cloud is the only cloud-based, business-class video conferencing service that lets you call another person or meeting room directly. Pick a name or meeting room from the search-based directory and connect. Use on the leading devices and browsers. PC or Mac, tablet and smart phone (Android or iOS), Google Chrome or Internet Explorer. You can even join a Lifesize Cloud call from your Skype for Business client. Go ahead and discuss top-secret information in confidence because Lifesize is powered by SoftLayer, an IBM Company, which means your conversations are encrypted. The service is also redundant and fault tolerant for unmatched reliability. In addition to the stellar support Perfect Video Conferencing provides, the awesome Lifesize Cloud Extreme Support Service team is available 24/7/365 to help ensure that your experience with Lifesize is phenomenal. You’ll always have the latest and greatest as the software updates automatically every time a new feature is available. You can even subscribe to receive real-time status updates so you’re always in the know on the latest and greatest updates. Lifesize Icon video conferencing systems are so easy to use that you can instantly connect with everyone you need, from anywhere. Perfect Video Conferencing has installed hundreds of these systems for its customers and can do the same for you! With the Icon system, you can add individuals and other conference rooms to your conversation with a click, share your screen, use virtual meeting rooms for regularly scheduled meetings, record and share with Lifesize Cloud Amplify, and of course pair with Lifesize Cloud. Connected device for instant connections! All Lifesize Icon video systems connect to Lifesize Cloud, an award-winning cloud service, so that you can take your conversations with you no matter where you are on whatever mobile device you happen to be using. Setting up a Lifesize Icon is easy. Place your system in the meeting room, connect to a power source, display and Internet; and then let everyone know its ready for video calling. Be a video conferencing pro. You’ll quickly become a master at video conferencing with Lifesizes intuitive UI, which clearly shows you how to place a call, add someone to your meeting, share your screen and more. When you pair your Lifesize Icon video conferencing system to Lifesize Cloud, you’ll always be up to date as software updates automatically every time a new feature is available. An Icon for every meeting space. 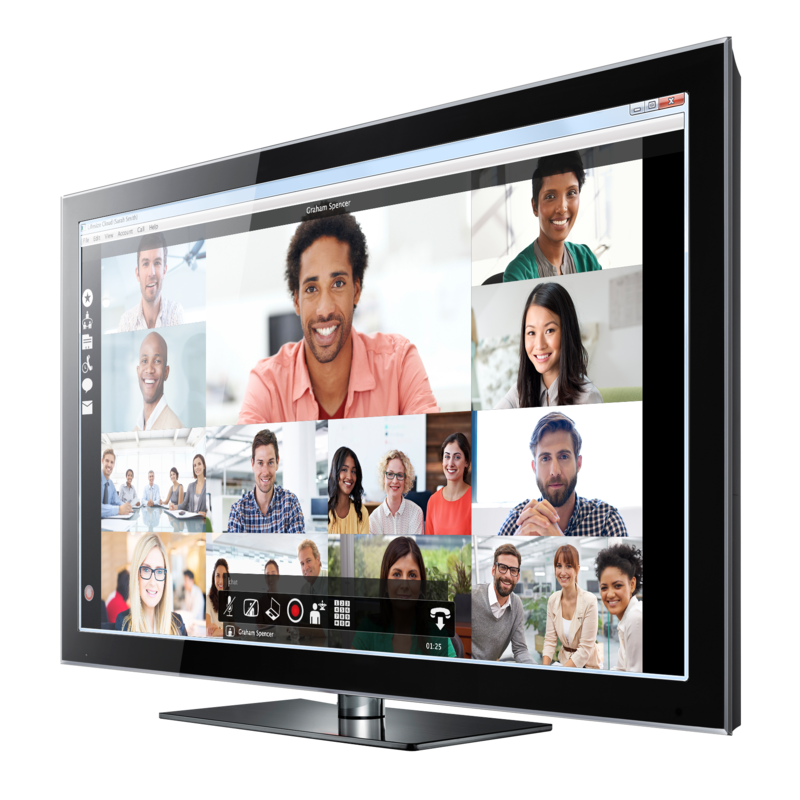 Once you start using the Lifesize Icon video conferencing system, nothing else will compare. And there’s an option for all of your meeting room sizes. Now go forth and share the power of collaboration. The Icon 450 is perfectly designed to bring the power of video conferencing to huddle rooms. The Icon 600 supports multiple displays, cameras and microphone inputs, making it perfect for large meeting spaces. The Icon 800 is perfect for expansive meeting spaces and allows you to connect multiple devices while still delivering an immersive high quality experience. The Icon Flex allows you to use applications such as Skype for Business/Microsoft Lync, Google Hangouts, Cisco Jabber, Skype. It requires no tools and can be connected to any laptop via USB. Icon Flex brings high quality video, audio and support to your collaboration application when being used in the meeting room. The smart phone for your conference room. With the phone HD, you can share content, launch calls, join meetings, change layouts and control the Lifesize camera right from your phone.